Verbal also has some questions that will look familiar (Reading Comprehension), but the way it tests logic, Sentence Equivalence, and Text Completions are pretty unique. 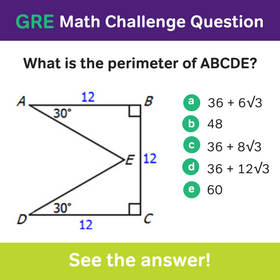 Getting familiar with these question formats before you take the GRE Diagnostic quiz will help you determine your actual current ability level. You can read about the formats of both sections on this blog or in the GRE Official Guide. Ready to go? Here they are! Once you have taken each Diagnostic, you will see your score on-screen, and you will also get an email with your score and recommendations for next steps. No matter what, don’t be discouraged if the Diagnostics challenge you: the GRE is supposed to be hard! And remember: no matter where you start, Magoosh can help! I am a new comer.so, how i prepare myself and how i improve myself at a very swift.Please give me a advice. First of all, I have to ask if you have considered Magoosh! Our comprehensive GRE preparation program will bring you through all of the information you need to know for the GRE. 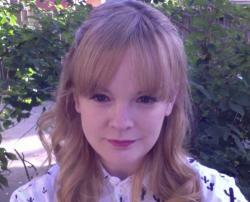 We work with a lot of non-native speakers and help them reach their GRE goals! On average, our students increase their scores by 8 points–and many increase by much more than that! Try us out for a free 7-day trial! 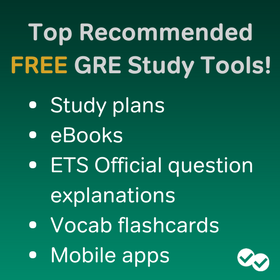 If you need to prepare for the GRE in a short period of time, check out our study plans. We have GRE Study Plans for 1-week, 1-month, 3-months, and 6-months. 🙂 To help you think about how long you should study, I recommend checking out this blog post: How Long Should I Study for the GRE? how we get to know that how much scores we improved if we have not given gre before? If you haven’t taken the test before, you can use this diagnostic test as a baseline and see how you improve over time. You can also track your progress through practice tests. 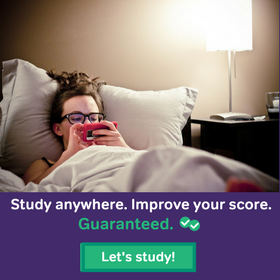 As you study, you will likely see your scores improve!